The Export Label Image feature in CODESOFT allows the user to generate an image file that shows a rendering of the label. 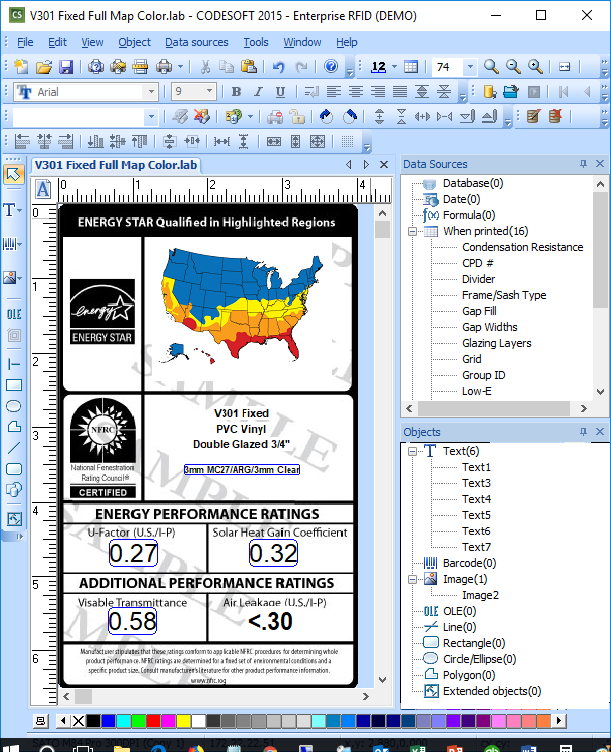 Often, when the file is open to view the image, the user is disappointed to find the quality of the image does not match the high resolution available from within CODESOFT. This article explains the problem and recommends possible solutions. The default ‘Size percent’ value is 100%. At the setting, CODESOFT reduces the resolution of the image so that, printed at maximum size, it appears at about the same size on the screen at it would printed. Thus enlarging the image at all will cause distortion or noise within the label. If any of the images included on the label are not clear in the label design, using the Export Label Image feature will clearly reveal these imperfections. Zooming the label image to make it bigger will exacerbate the quality problem. 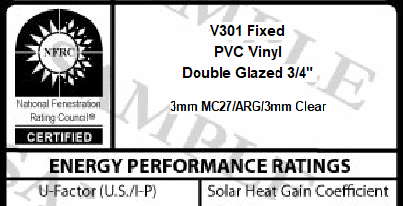 All images used in the label design must look sharp and have sufficient DPI. If they do not look good expanded outside of CODSOFT (using Paint, Word, Adobe Ilustrator, Photoshop, etc. ), they will not look good in CODESOFT. If the don’t look good in CODESOFT, they will look as bad, if not worse, in an exported image. 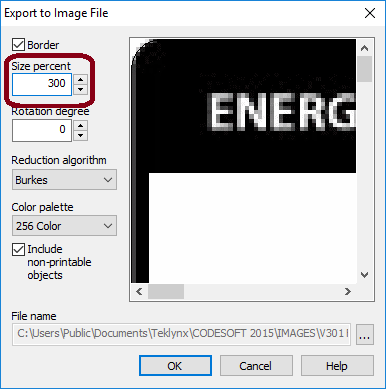 Increase the ‘Size percent’ Value To get an image from the Export Label Image feature that can be enlarged without losing significant quality, save a higher ‘Size percent’ value. Increasing to 200% or 300% will increase the density of the image pixels. The higher the density of pixels, the better the image will look when expanded. Note on the image below, the left label was saved at 100% and right at 300%. When shown at 300% (i.e. enlarged) the image saved at the higher Size percent value looks much clearer.